After placing the pasta in a dedicated* pot of boiling water, do not stir for the first 2 minutes. If you wish to cool the pasta, it should be done by submerging the pasta in room temperature water. Do not shock in cold or ice water; the texture will be compromised. *In order to prevent cross contamination to highly sensitive people who are intolerant of wheat pasta, it is highly encouraged you dedicate a pot to the gluten free pasta and only cook gluten free pasta in that water. Boil pasta for 1 minute 45 seconds. Strain and use room temp water to cool. Do not shock in cold or ice water. Cook for 2 minutes and 30 seconds. Strain and use room temp water to cool. Do not shock in cold or ice water. Combine with salad ingredients. Vinegar / acidic dressings can deteriorate pasta quality. Toss cooled pasta with small amount of oil to prevent sticking. Cook for 3 minutes using directions above. A small amount of oil in cooking water can help prevent sheets from sticking to themselves. Place hot noodles directly into lasagna pan. Lasagna can be baked right away or frozen. Rigatoni For macaroni and cheese, cook 45 seconds. Strain and place directly into hot cheese sauce. Mac and Cheese can be baked right away or frozen. Cook 2 minutes 45 seconds. Strain and use room temp water to cool. Do not shock in cold or ice water. Cook 3 minutes. Strain and use room temp water to cool. Do not shock in cold or ice water. Combine with salad ingredients. 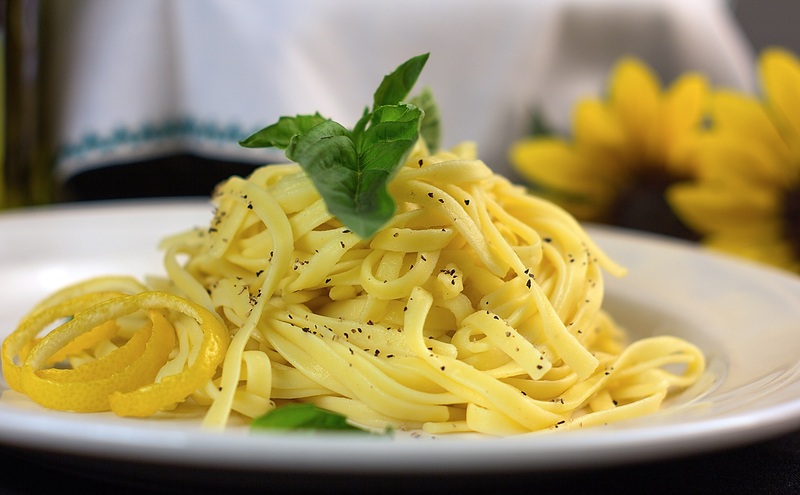 Vinegar / acidic dressings can deteriorate pasta quality. Macaroni For macaroni and cheese, blanch pasta for 15 seconds. Strain and place directly into hot cheese sauce. Mac and Cheese can be baked right away or frozen. Cook 1 minute. Strain and use room temp water to cool. Do not shock in cold or ice water. 1 minute 30 seconds. Strain and use room temp water to cool. Do not shock in cold or ice water. Toss cooled pasta with small amount of oil to prevent sticking. Combine with salad ingredients. Vinegar / acidic dressings can deteriorate pasta quality. This can be made round by baking your cake mix in two 8 or 9 inch round cake pans, then slicing each layer in two using unflavored, unwaxed dental floss. OR, you can make it a rectangular shaped layer cake by baking the cake in a rectangular cake pan and then slicing that up into whatever sized layers you want. On the 4th layer of cake, optionally put more mousse (I omit this on the top, Tracey adds it), then put the rest of the coconut filling, then pour the chocolate glaze so that it runs over all of the edges. *VERY IMPORTANT: This must be cooled or it will melt the mousse and you will have a mess!! VARIATION: You could add the glaze in your layers too, if you want it even more chocolaty. Just make sure it is just cool enough not to melt the mousse, but not so cool that it won’t flow. So, I would probably put it on the cake, then coconut, then the mousse in layers. Combine ½ cup milk, sugar, and marshmallows in a medium saucepan; cook over medium heat 5 minutes or until marshmallows are melted. Stir in coconut and cornstarch; bring to a boil. Cook 1 minute, stirring constantly. Wesler, C. A. (2000). The Complete Cooking Light Cookbook. Birmingham: Oxmoor House, Inc., page 115. This frosting has a light, appealing mousse-like texture. 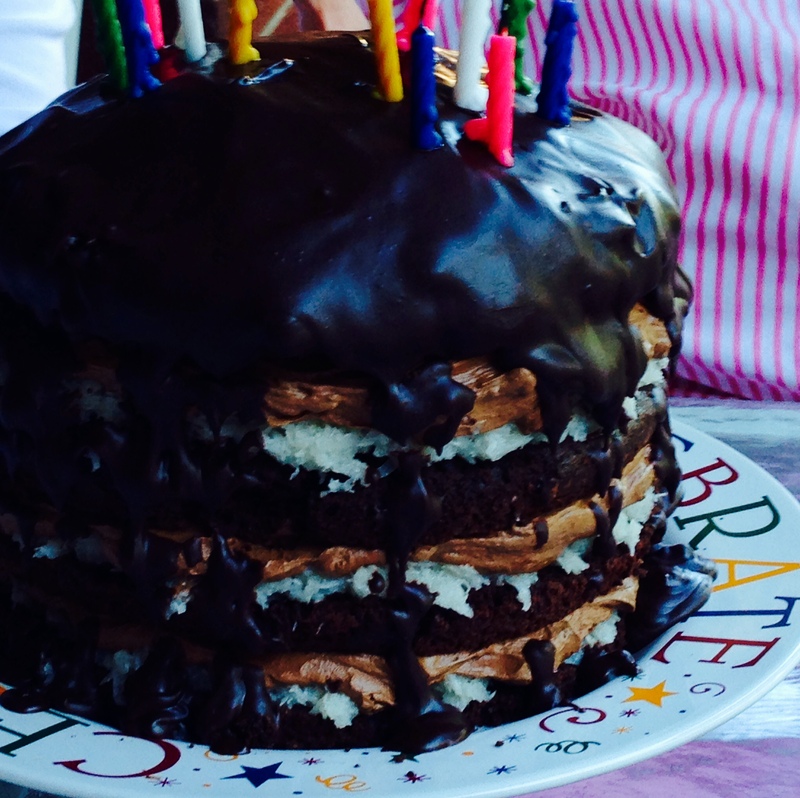 Try it between layers of any angel cake, a moist sponge cake, or a devil’s food cake. Set the bowl in a large skillet of barely simmering water and heat, stirring constantly, until the mixture registers 160°F on an instant-read thermometer. Stir until the chocolate and butter are melted and the mixture is smooth. Set the bowl in a larger bowl of ice water and beat on high speed until the frosting holds a shape. Use immediately or refrigerate for up to 4 days. Soften and beat until smooth before using. The All New All Purpose Joy of Cooking by (Rombauer, Becker, & Becker, 1997), Page 1005. A very sophisticated glaze or frosting to use on rich European chocolate or nut torts. 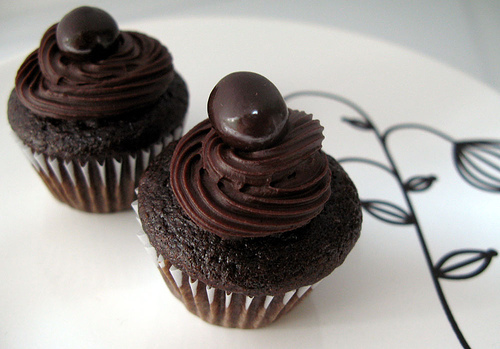 For an even more bittersweet effect, substitute 1 ounce unsweetened chocolate for 1 ounce of the bittersweet or semi-sweet chocolate. Continue to stir (do not beat) until perfectly smooth. For a pourable glaze, let stand at room temperature, stirring occasionally, until the mixture cools to 90°F. For frosting, let stand until spreadable. IF the frosting becomes too stiff, set the pan in a larger pan of hot water and stir gently with a rubber spatula; or remelt and cool to 90°F for use as a glaze. This keeps for up to 3 days at room temperature or up to 3 weeks refrigerated. Of freeze for up to 6 months. Soften or melt before using. The All New All Purpose Joy of Cooking by (Rombauer, Becker, & Becker, 1997), Page 1003. 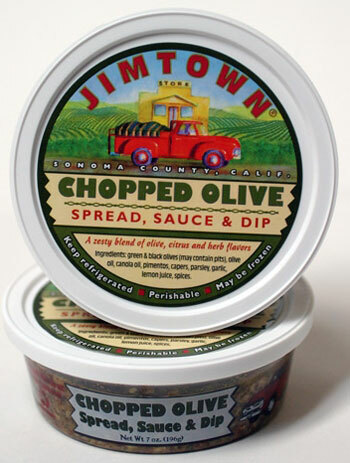 A salad EVERYONE can enjoy at your summer picnics that includes our new favorite condiment! Cook the rigtoni in boiling water for 2 minutes. Drain. Toss all the ingredients together and serve. In fact, a single medium-sized egg contains 186 mg of cholesterol, which is 62% of the recommended daily intake. In a saucepan, warm water and milk to approximately 100 d. Add yeast and sugar, allow to develop for 10 minutes. In an electric mixer, mix the flour to break up and aerate. Slowly add milk mixture, mix on medium speed for 2-3 minutes until smooth. Cover and place in a warm spot for 90 minutes. Return to mixer, mix on medium for 30 seconds. Dissolve baking soda in water. Add to mixer bowl and mix for 30 seconds on medium speed. Cover and allow dough to rest for 20 minutes. Preheat griddle on medium heat. Use butter to grease inner surface of English muffin rings (3-4” cookie cutters or well cleaned tuna can rings would work) and place on griddle. Spoon batter to fill rings (approximately 1/3 cup) and use a wet spoon to spread and smooth the batter. Cook for approximately 8-10 minutes. Typically, bubbles indicate that the crumpet is ready to be turned, but the thickness of this batter made it difficult to see them. Instead, look for the surface to appear dry and the bottom to turn golden brown. Flip the crumpet, remove the metal ring, and cook for an additional 8-10 minutes until golden brown. Serve immediately, or, if they survive long enough, toast them. A bit time consuming, but couldn’t be easier or more satisfying. 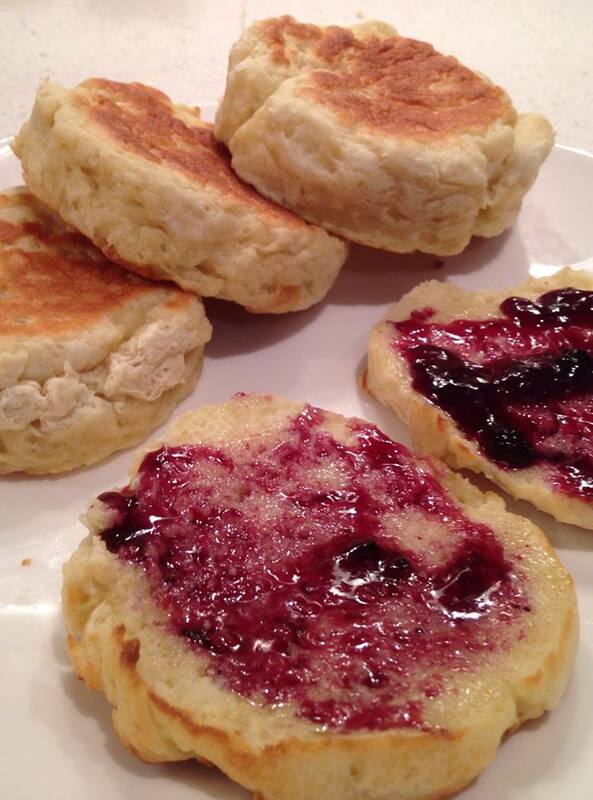 My English husband pronounced the flavor and texture “perfect.” This recipe yielded 12. Pre-heat the oven to 350 F. Scale and mix together the Multiuso Mix, cocoa powder, baking powder, baking soda. Continue scaling the rest of the ingredients separately. In a kitchen Aid using the paddle attachment or a hand mixer cream the butter with the white and brown sugar until fluffy. Then beat in the whole eggs one at a time until fully incorporated. Repeat this process with the egg yolks. Then add the vanilla extract and coffee. On low speed alternate between the buttermilk and Multiuso Mix allowing it to incorporate each time you add it to the mixer. Once it’s all in the mixer stop it and scrape down the sides then continue mixing for 1 minute. In a non-stick cupcake tin scoop the batter filling it 2/3 of the way high. Bake for 17 minutes or until you can insert a tooth pick that comes out clean. Once it’s done allow it to cool for a couple of minutes in the pan then remove the cupcakes and continue cooling on a rack. 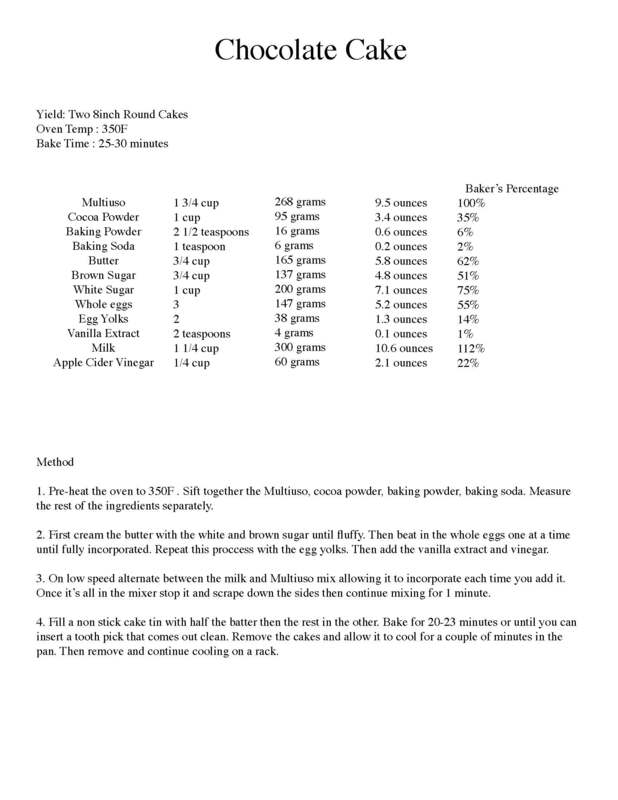 *If you do not have or want coffee measure out 1 1/2 cups of buttermilk. *Substitute for buttermilk. You can use your choice of milk (Whole, Hemp, Coconut, etc.) Add 1 1/8 cup of milk to 1/8 cup of apple cider vinegar. I hear from celiacs, gluten-intolerant, and wheat intolerant folks over and over how much they miss just good plain bread. Most gluten-free bread available in the stores is expensive, lacking in whole grains and fiber, needs to be kept frozen, and needs to be toasted to be edible. Most of it is just not very good. Many of us moms just want to be able to make easy, healthy lunches for our families and miss the ease of sandwiches. Today I bring you an easy to make, delicious, healthy, gluten-free, whole grain, rice-free bread that has the taste and texture of “regular” bread, and isn’t expensive! Can I get an AMEN?! A couple of years ago, my local gluten-free store, Jake’s Gluten Free Market, started carrying this new line of flour and bread mixes called Manini’s. They started making and selling bread made from their mixes and I couldn’t believe how good it was! Unfortunately, at $7 a loaf, I knew I couldn’t afford to buy it for our family all the time. Thankfully, the staff at Jake’s was willing to share how they made it, just following the directions on the Maninis Classic Peasant Bread Mix, so that any of us customers could make it at home too. As you know, making homemade bread can be quite time-consuming. I spent the past year tweaking their recipe to get it to turn out just right in the bread machine, and according to our family’s preferences. I finally got it just perfect and am ready to share the recipe with you! 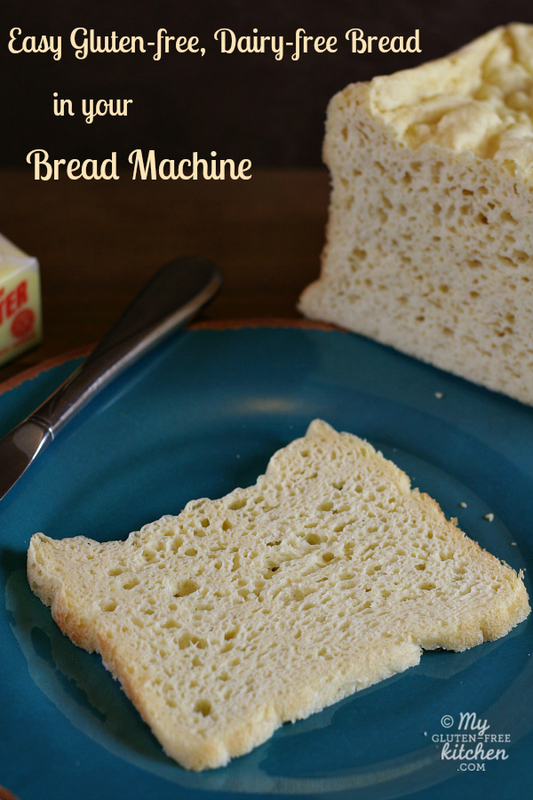 It takes me literally 10 minutes of work to make this bread in my bread machine! Really… 10 minutes, and it costs me about $4.50 a loaf! I store this bread at room temperature in a container on my counter, and just slice as I am ready to make sandwiches. Our whole family loves this bread, and when we have gluten-eating guests, they do too! When my in-laws are visiting, they like the bread so much that I end up making a loaf every day so there is enough for everyone for toast in the morning and sandwiches at lunch. I don’t mind since it is so easy!